I have fallen behind yet again...in my blessings. My excuse...I have been enjoying my blessings way too much this month! 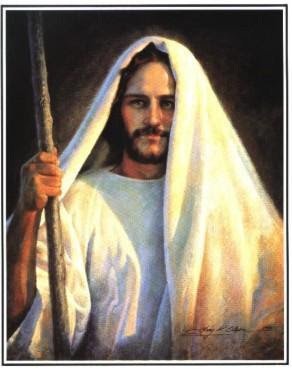 I have been cherishing the most important blessings most of all; my family, my friends, and most of all, my Savior. This December I was ever so blessed to realize how commercialized i had made Christmas in years past. I always tried to focus on my Savior and his birth in years past, but this year I REALLY realized and set in stone my testimony of what the true meaning of Christmas is. This year has been a hard year for our family. However, it has been one of the best years as well. Through the challenges that we have faced lately I have learned a lot about myself and one thing I have realized about me is how much I really do depend on my Savior and His atoning Sacrifice for me and for my family and all of those around me. I have truely gained an enormormous appreciation for the atonement and am so grateful for it in my life and in the lives of my family. I have been truely blessed with the knowledge of Him and His love for me and if I but come unto him and ask Him, He will take my fears, sorrows, and trials from me. I have found immense comfort in this knowledge this month and therefore I have stengthened my testimony of it greatly and have found that it has been the best way that I can celebrate HIS birth. I know that my Savior lives and he knows who I am and He loves me. Sledding Down our icy driveway is one of the kids' favorite things to do in the winter???? My annual cookie exchange with my friends! One of my favorite Christmas traditions of the season. Visiting Dads and Grandpas. Merry Christmas! We love you! We miss you! Ice Cream cones Christmas morning! What a great breakfast! Michael and Calli having their Christmas Carol Jam session. It was so fun to watch them play together. It kind of made me want to start learning the guitar!! The Kiddie table Christmas Eve. So adorable! Yummy dinner too. We had Christmas Eve with my family. It was so fun to have Jon and his family there and Michael and his family, and don't forget...Tim and Ben. We had a great time eating dinner and opening presents from mom. It was hard not to have Dad there for the first Christmas, but hopefully we served his memory proud by enjoying each other so much. The kids love being at Grandma's and love surrounding themselves with their cousins. It was a special night. LOVED this post. Especially your amazing testimony. I have felt the same way about 2009-a really hard year, but some really incredible blessings. It's weird they can exist at the same time. Christmas looked magical! Don't ya just love Christmas. The icecream for breakfast is so you I love it. Miss you hope things are going good. I won't show my kids that you were eating Ice cream for breakfast....I would become the meanest mom ever! Loved your post.